How Do You Rate a Forest Fire? Most of the news stories about the 43 large wildfires in the Western United States report some level of “containment” reached by firefighters. What does it mean to contain a fire, how is the percentage calculated, and when is a fire “controlled”? Fire lines are trenches dug to create a “fuel break” around the fire. Fires need fuel, oxygen, and heat to burn, and the easiest of the three to eliminate is fuel. 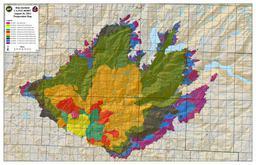 Fire lines can also include “natural” barriers such as roads, rock bluffs, or streams. Once a fire is fully contained, firefighters work on “controlling” it by battling it inside the containment line. A controlled fire is one that has no risk of expanding beyond the fire line. Beginning at noon on Wednesday, August 28, the Tioga Road (Highway 120 through the park) is closed from Crane Flat to Yosemite Creek. The only access to the Tuolumne Meadows area is via Highway 120 from near Lee Vining. 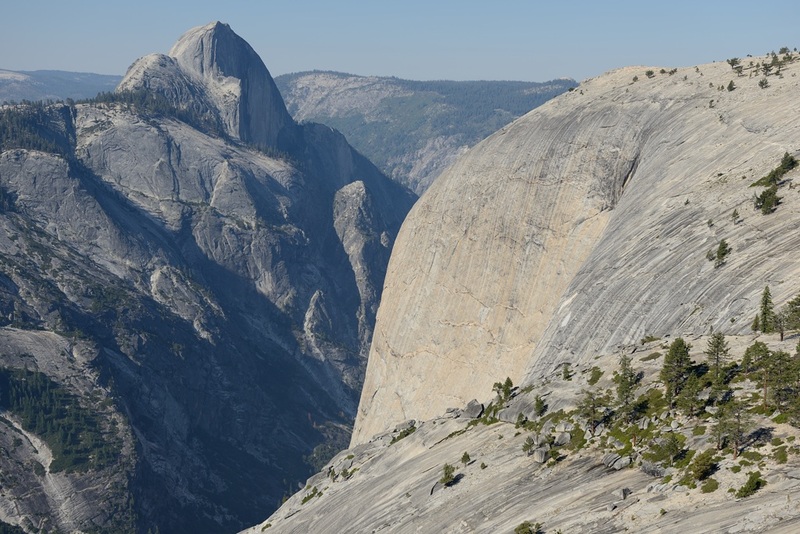 Most of Yosemite National Park is not affected by the fire and is relatively smoke-free. The northern part of the park, including some areas along the Tioga Road, has some smoke. Conditions may change if winds shift. The Big Oak Flat Road (the continuation of Highway 120 inside Yosemite) and Highway 120 west of Yosemite are closed between J132 near Buck Meadows (outside the park) to Crane Flat Campground (inside the park). If you are trying to get to Yosemite from the west, use Highway 140 from Merced. 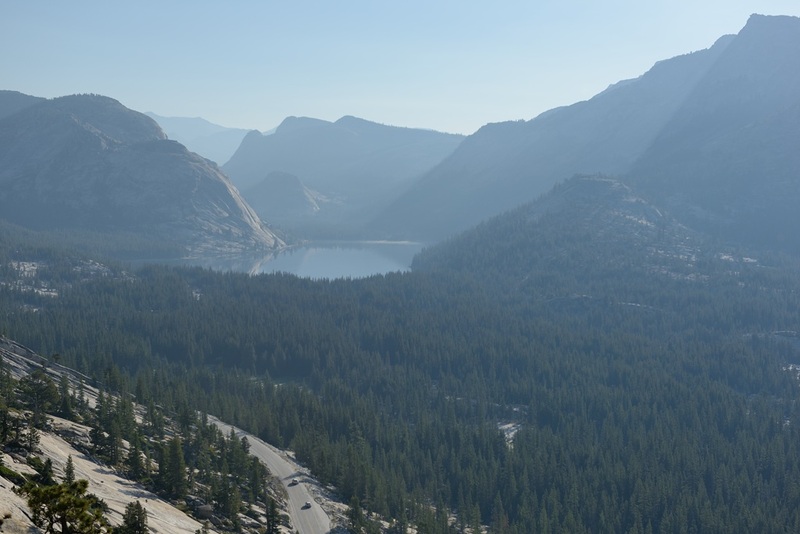 You may also enter Yosemite via Highway 41 from the south and 120 from the east (Tioga Pass). Hetch Hetchy Road and Evergreen Road are closed. White Wolf is closed, including the lodge, campground, road, and trails originating from White Wolf. This area is closed due to smoky conditions. Crane Flat, Hodgdon Meadow Campground and Hetch Hetchy Backpackers’ Campground are closed. Merced and Tuolumne Groves of Giant Sequoias are closed so firefighters can work on preventive fire suppression efforts. The groves are not currently in imminent danger. Wilderness trail closures: The area west of the May Lake Road and May Lake Trail continuing to the junction with the Pacific Crest Trail (PCT) at Glen Aulin and then north along the PCT to Bond Pass is closed. The park’s boundary serves as the closure’s northern and western edge extending south to Crane Flat Campground. The closure boundary continues east along the Tioga Road (Highway 120 through the park) to the May Lake Road. The Tioga Road and the trails serving as the eastern boundary of the closed area (including the PCT) remain open. May Lake High Sierra Camp, Glen Aulin High Sierra Camp, and Porcupine Flat Campground are open. View a map showing the closure [1.2 MB PDF]. Fire restrictions: No smoking and no building, maintaining, or using a fire, campfire or cooking fire (including charcoal fires) within the Yosemite Wilderness and potential wilderness additions. Portable stoves using gas or pressuring liquid fuel are allowed. Alcohol and Sierra stoves are not allowed. Campfires may still be used in designated campsites at designated campgrounds in non-wilderness areas within the park. All other roads and areas are open. 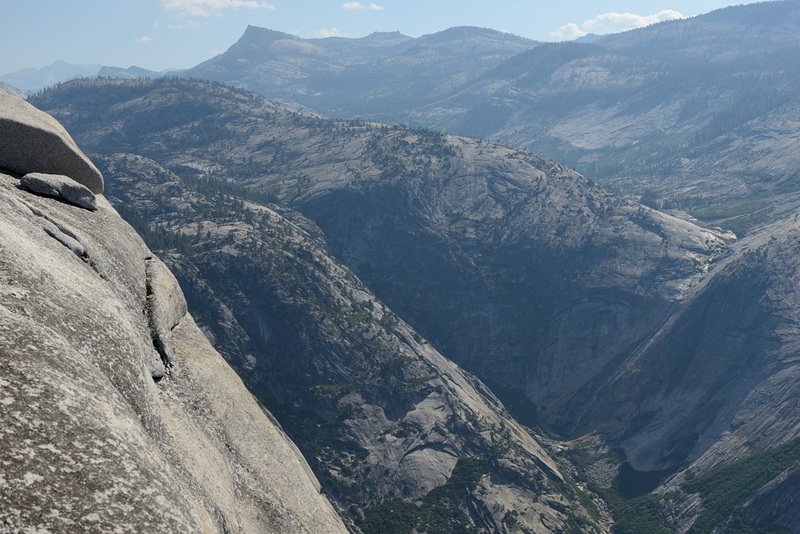 Yosemite Valley, Glacier Point, Wawona, Mariposa Grove, and Tuolumne Meadows areas are all open. Campgrounds in Wawona, Bridalveil Creek, Yosemite Valley, Porcupine Flat, and Tuolumne Meadows are open.